McDougal Architects designs one-of-a-kind homes, commercial, and institutional buildings. All while maintaining client’s desires, retaining high-end design, and pragmatism in regards to construction and overall cost. McDougal Architects focuses on providing individualized service to clients while also delivering a unique architectural and interior design experience. Drawing upon years of experience, their design goals are simple; to create a space that solves problems, makes life easier, and harmoniously infuses the style and personality of the client. Conscientiously putting all these elements in place, McDougal Architects creates comfort and gives birth to new memories. This single family home was designed around the clients wide range of antiques including the main piece placed in the center of the home, a 19’ x 26’ needlepoint rug designed by the clients’ mother. The home includes five bedrooms, and an open first floor perfect for entertaining. The property also includes a koi pond in the backyard. Single-family home located in Mattapoisett, Massachusetts. Master suite is found on the first floor while additional bedrooms are on the second floor. Over the garage you’ll find more space intended to be a laundry drying room. 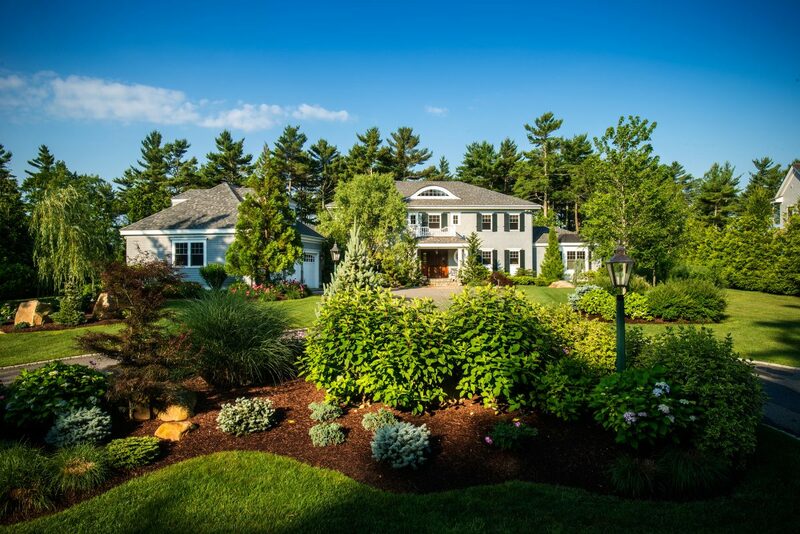 Built in a small suburb outside of Boston, Massachusetts, the home is 6,435 square feet. The home includes a two-car garage, an enclosed porch, a first floor Master Suite, and three additional bedrooms on the second floor. The basement is finished and has a fireplace for family entertainment, and gatherings. Built on a golf course outside of Boston, this three story single family home was designed as a summer home for a family of six. A special feature of this home is there are no gutters and instead there are rain chains to direct the water to the street. The house has a total of four bedrooms, including the Master suite that has a balcony overlooking the golf course. This single family home was built for our client as a fun home that their four grown children could visit and spend the weekend away from their hectic lives in the city. Each bedroom includes an on-suite bathroom making them small Master Suites. The home also includes a pool, pool house and bowling alley in the basement. A single-family home located on the Mattapoisett Harbor. Rather than traditional elevation tactics, the elevations were designed with respective views. The backside of the single-family home located on Mattapoisett Harbor. A large back porch was created for entertaining, and easy access directly to the ocean. 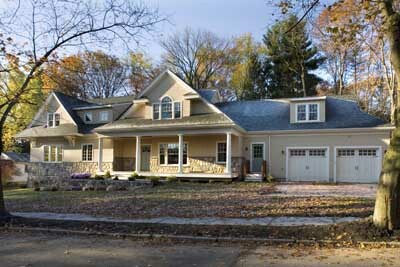 Single family home located on the Charles River in Wellesley, Massachusetts. This home is two stories in the front, and four stories in the back that lies directly on the Charles River. Designed to create a larger family home without making it feel massive.